Dubai retailer Majid Al Futtaim, which holds the Carrefour franchise in the Middle East, plans to invest about $2.3 billion in Egypt in the next few years, its chief executive said on Wednesday, a sign of Gulf investors’ growing interest in the Egyptian economy. “Total investments on the plan, including Carrefour, should be around 16 billion Egyptian pounds over the next four to five years,” Iyad Malas told Reuters on the sidelines of the World Economic Forum in Davos. MAF, the sole franchisee of French retailer Carrefour in the region, will expand one of its shopping malls in Cairo’s Maadi district at a cost of 3.2 billion pounds, and begin construction next week of another mall next to Cairo’s main airport that will cost a similar amount, Malas said. In addition, the company expects to complete construction of its ‘Mall of Egypt’ project near Cairo by the end of 2015 at a cost of 4.9 billion pounds, while the Carrefour operation plans further investments, he said. New foreign investment in Egypt almost dried up after the revolution which overthrew Hosni Mubarak in 2011 – though Malas said Carrefour had continued to open new stores over the past three years. The economy has begun to stabilise, helped by billions of dollars of aid which Saudi Arabia, the United Arab Emirates and Kuwait provided after the army ousted Islamist President Mohamed Mursi last July. While Western investors remain cautious, some Gulf Arab companies are returning to the country, encouraged by their governments, which see political advantage in supporting the army-backed authorities who replaced Mursi. 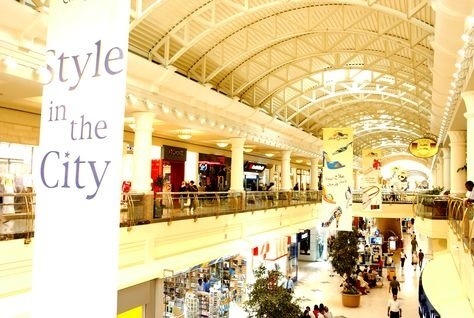 While Majid Al Futtaim is a private group, much of the Gulf’s investment in Egypt this year looks likely to come from state-linked investors. Ahmed Heikal, chairman and founder of Citadel Capital , a big Egyptian investment firm, told Reuters inDavos that sovereign wealth funds from countries such as the UAE, Saudi Arabia and Kuwait were expressing interest in Egypt. Qatar had good relations with Mursi’s Muslim Brotherhood and as a result its ties with the currentEgyptian government have been cooler. Heikal said he did not expect Qatar to invest additional amounts in Egypt for now. Visiting the UAE this week, Egyptian Investment Minister Osama Saleh said he expected net foreign direct investment in his country to rise by a third to about $4 billion in the current fiscal year, which ends in June, versus the previous year. “It is a mix of investments, but a large portion of it is Gulf investments,” said Saleh, adding that he was talking to UAE companies in sectors ranging from real estate to shipping. Before Egypt’s 2011 revolution, it was attracting net foreign direct investment of around $8 billion annually, so even with aid from the Gulf, the economy is not yet back to normal. Posted on January 22, 2014, in #middleast, #retail. Bookmark the permalink. Leave a comment.